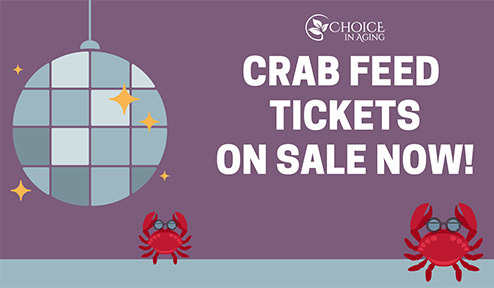 For the 44th year in a row, Choice in Aging is going all out to celebrate our 70th anniversary! This year is going to be extra fun with a 1970s theme–so show up in your disco-wear and get ready for an awesome night! The event will include a teacup raffle, silent auction, live auction, and cake auction plus all you can eat fresh Dungeness crab! The event directly supports Mt. Diablo Center for Adult Day Health Care, which provides services for seniors and people with disabilities. You can read more about the services we provide here. Tickets will sell out fast so get ’em while you can!